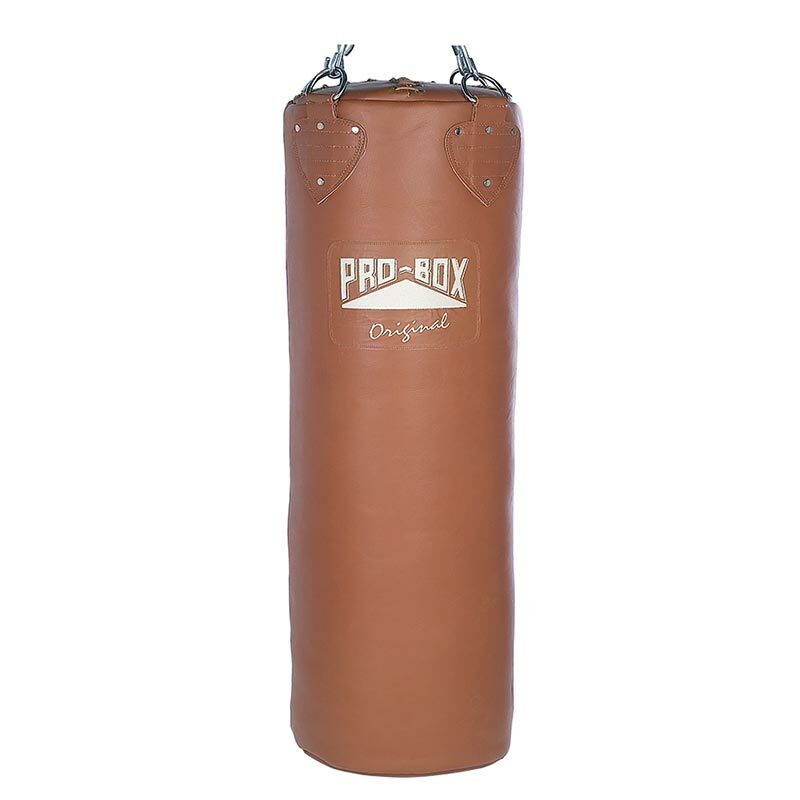 The Pro Box Leather Heavy Punch Bag 3ft Original Collection is the ultimate hand crafted soft leather punch bag,made from thick tan hides. It is padded and filled with textile, and has a 2" jacket to reduce hand injury and improve shock absorption it has a Dee ring on the base for additional stability if required. Requires 4 leg hanging chain - sold separately. Size 33cm (13") diameter x 92cm (3') high.